Version 9.0 of Agent for End User Devices offers new functionality, features and improvements in performance. The Agent for End User Devices monitors end user experience by measuring device and application performance. See the resolved issues for Agent 9.0.x (learn more), or see details of Agent 9.1.x or Agent 9.2.x. Automatically report the performance of all applications running on the device with zero configuration. For desktop applications, it reports its name, launch time, usage time, wait time, hang time, and any application crashes. For web applications, it also reports web page load times and web errors. Automatically discover the location of the device with zero configuration. Site properties (containing country, state and city). Automatically discover whether the device is connected via a VPN. The Agent queries Windows for a virtual network adapter with an active connection and a common name in its description: AGN, Checkpoint, Cisco AnyConnect, Citrix VPN products, F5 Networks adapters, Juniper Networks, OpenVPN TAP, Palo Alto GlobalProtect, Pulse Secure, PureVPN, SonicWall, and VyprVPN. Automatically discover the details of the user logged in to the device. 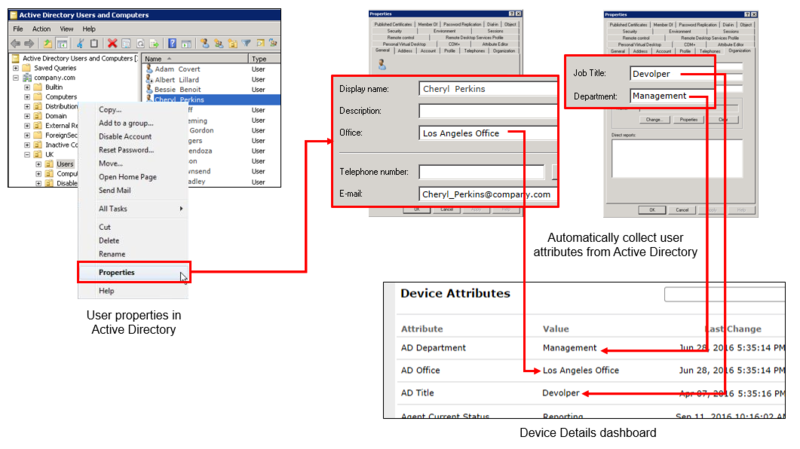 The Agent queries the device's user login to automatically retrieve information from your Microsoft Active Directory, including: Department, Office, Title (or Role), Full Name and Email Address. Automatically discover more device details. Agent queries Windows to discover the Disk Type (System), Network Speed, Network in Use, Last Reboot Time, OS Type and a new Device Type called Laptop (which is distinct from desktops). Agent 9.0.x automatically reports more measurements for each defined activity. The measurements include splitting the response time into server time, network time, client time, and reports the server hostname and IP address. For remote applications, it also reports a new measurement called the round trip time (RTT). Support for recording HTML events in Google Chrome. While testing the activity, the Validation Summary window displays a live list of all activities sent to the server by this Agent on this device. The list also includes activities which were incomplete. Use the drop-down menus at the top of the window to narrow the list to show only activities from one application, or one activity name, or (for Citrix sessions) from one user. 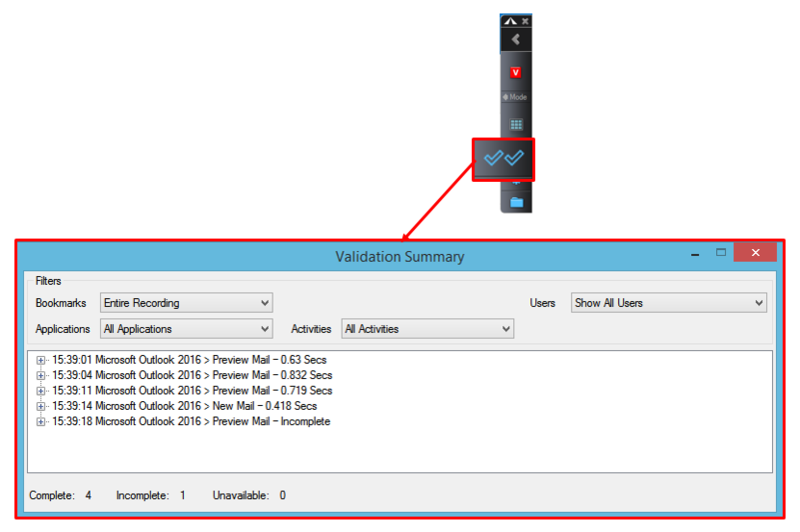 Expand an activity in this window to view its event details, to troubleshoot by isolating events which may have triggered reporting an activity incorrectly. There are new keyboard shortcuts to quickly start and stop a recording. (Agent 9.0.7 or later, for Aternity on-premise deployments only) Configure higher security with two-way authentication for TLS when the Agent communicates with Aternity. Add CLIENT_CERTIFICATE=AUTOMATIC in the Agent installation, and contact customer services for details on configuring the Aggregation Server to initiate a two-way TLS authentication with the Agent. (Agent 9.0.6 or later) Supports 32 bit Microsoft Windows 7 or later, in addition to the 64-bit systems always supported. The Aternity Recorder is now an integral component of the Agent, which remains dormant and is enabled only if the end user explicitly and deliberately activates it to start a recording. Supports proxy configuration files (*.DAT, *.JS, *.PAC) as an install parameter. Supports failover between two (clusters of) Aggregation Servers, so that if one fails, the Agent switches to reporting to the other. Full HTML monitoring in Google Chrome browsers, using the Aternity Extension for Chrome. Monitor boot times in Windows 8.1 and later. 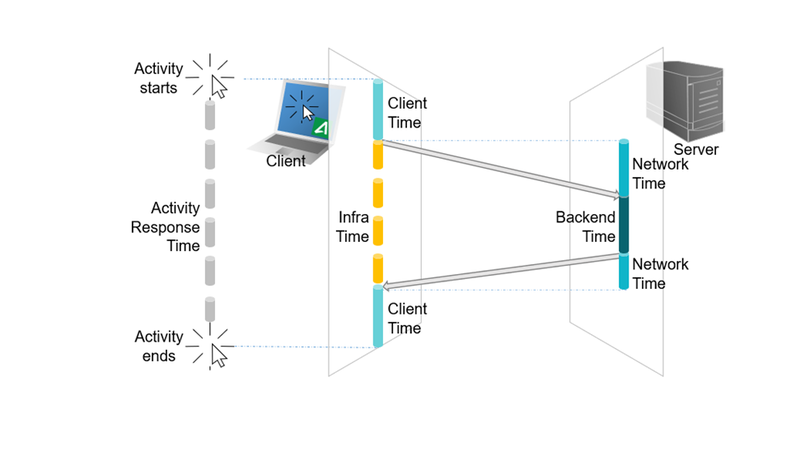 Much improved RDP monitoring of latency times. Report more information on processes launched from the command line, like its parameter list. More efficient collection of a device's top processes, including aggregating data by the process name. Support for Firefox ESR 45 and 52 monitoring (beta), single process mode only. Contact the Aternity Beta Team to create custom activities for web applications in this version of Firefox.